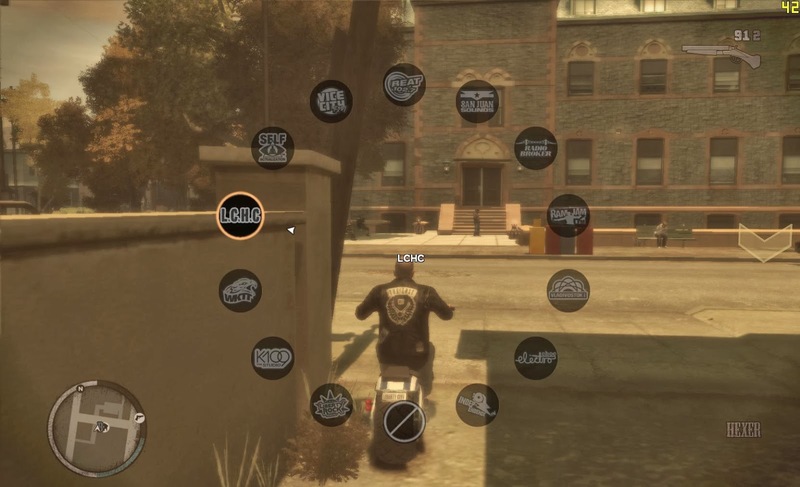 This mod was inspired by GTA V radio hud and will bring to IV and EFLC something similar. 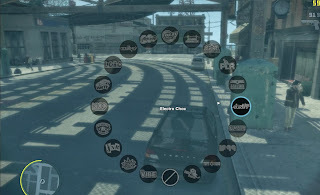 It don't change the normal radios, it just gives a second choice to switch radios in game. 1 - If you turn off radio (commonly X key) you can't bring it back using the mod, you need to use normal game radio station switcher to reactivate radio, after this you can use the mod again. 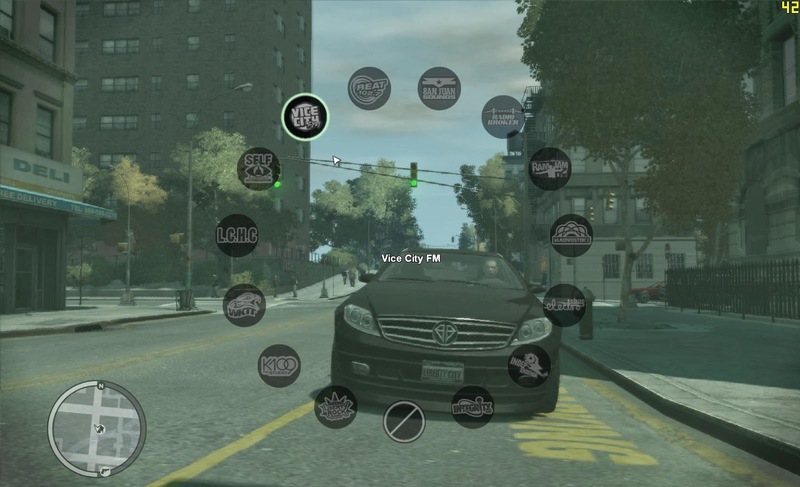 2 - The Turn Off option will only reduce the radio volume. *You can change hotkeys in the .ini file generated after first use, see the key codes here. 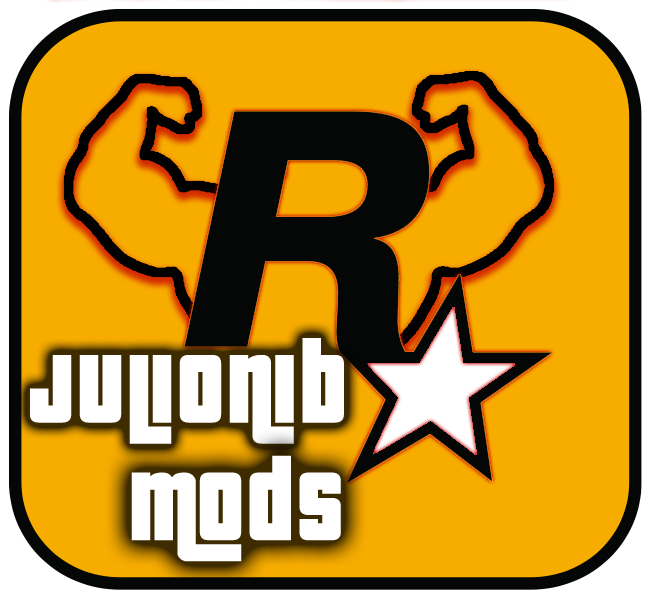 Great part of my mods go with images that can be edited/replaced to customize the look on game screen, feel free to make any changes, just respect the image size. 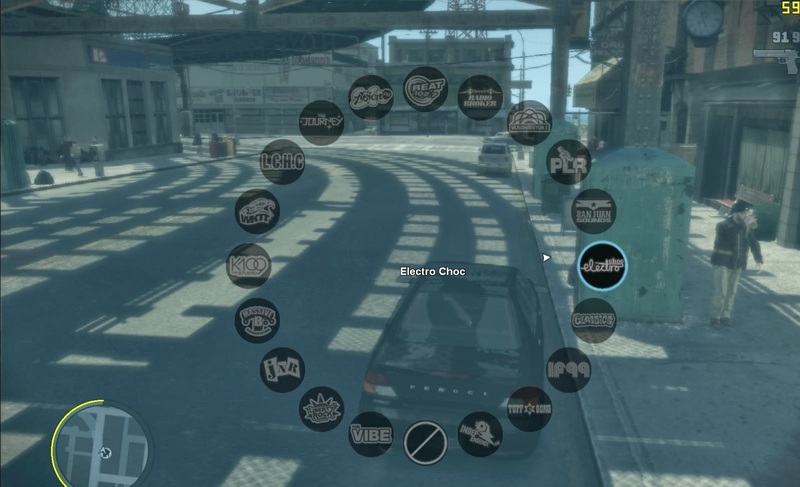 The files are located at gta "Scripts\V Style Radio HUD" folder.